A New Leader is in the making! VEEV – Veeva Systems is well known for its cloud-based software serving the life sciences industry. The chart technicals imply the stock is about to make a run towards $100. The purely technical price target is $116. 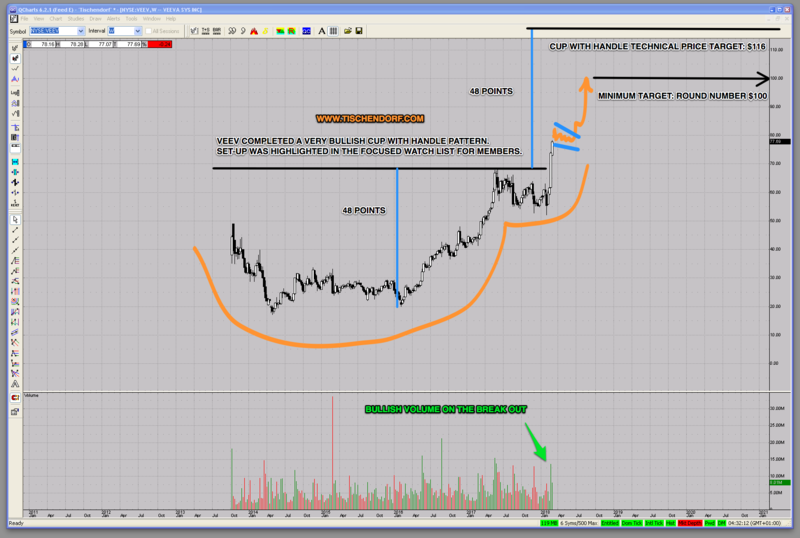 The price target is derived from the extremely bullish cup with handle pattern on the weekly chart. The $100 price target looks to be rather conservative as it is lower than the actual price target. Let’s not forget that big fat round numbers like $100 often act as powerful magnets relentlessly attracting price. The stock is trading around $77 and is very liquid. High priced and liquid stocks are the kind of merchandise funds and institutional money managers are eager to trade. When they find stocks with these character traits along with very bullish chart patterns, it allows them to load up easily! Members were introduced to VEEV – Veeva Systems in a recent video highlighting this High Potential Stock. VEEV is currently part of our focused watch list. The weekly newsletter provides you with very focused information. 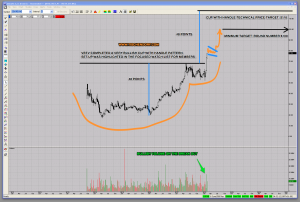 You get to know the very best stocks with the best chart patterns that are ready to move. Typically 5-7 stocks are reviewed and highlighted in each video. I avoid information overkill at all costs. The service is also well suited for new and intermediate traders. I explain in detail what I see, what you should pay attention to and why a stock is ready for a big move. Members tell me they love the educational value they get!